U.S. stealth bombers have bombed suspected ISIS terrorist training camps in Libya, with American military officials believing they were successful in destroying them. The B-2 bombers targeted two ISIS camps on Wednesday evening, dropping about 108 precision-guided bombs, scattering jihadists. They were then attacked by drones that launched hellfire missiles at them, according to Defense Secretary Ash Carter, as reported by Fox News. “The ISIL terrorists targeted included individuals who fled to the remote desert camps from Sirte in order to reorganize, and they posed a security threat to Libya, the region, and U.S. national interests,” Pentagon Press Secretary Peter Cook, referring to ISIS, according to CBS News. U.S. defense officials said that the B-2 airstrikes were authorized by President Obama. ISIS has gained hold in parts of Libya after the fall of dictator Moammar Gadhafi, who was killed during a popular uprising in 2011. The U.S. government announced airstrikes against Libya in the summer of 2016. The B-2 bomber, or the Northrop Grumman B-2 Spirit, was first introduced in 1997. The bomber, which is capable of deploying thermonuclear weapons, was first used in combat during the Kosovo War in 1999. The total program cost of the B-2, including development, amounted to around $2.1 billion per aircraft in 1997. 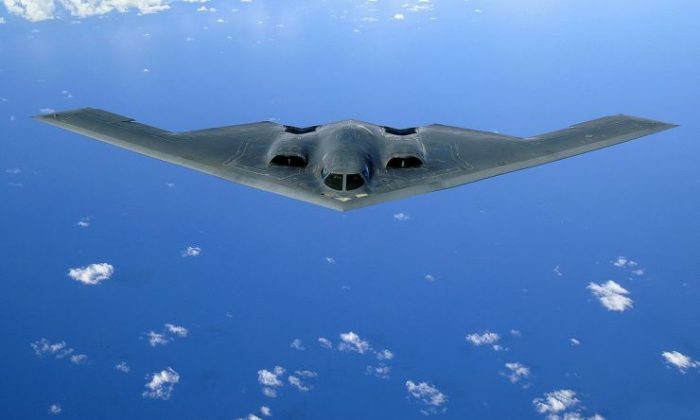 A total of 20 B-2 bombers are in service in the U.S. Air Force.